From The Anchor Inn (Cross Green) to Shebdon Visitor Moorings (The Wharf Inn), a distance of 21 miles, 7¾ flg and 2 locks. We had another moderately lazy start but still managed to get moving before any of the other boats. Anglers were starting to collect near Coven Heath Pipe Bridge – obviously the sewage works outfall attracts the fish but does that compensate for the smell? 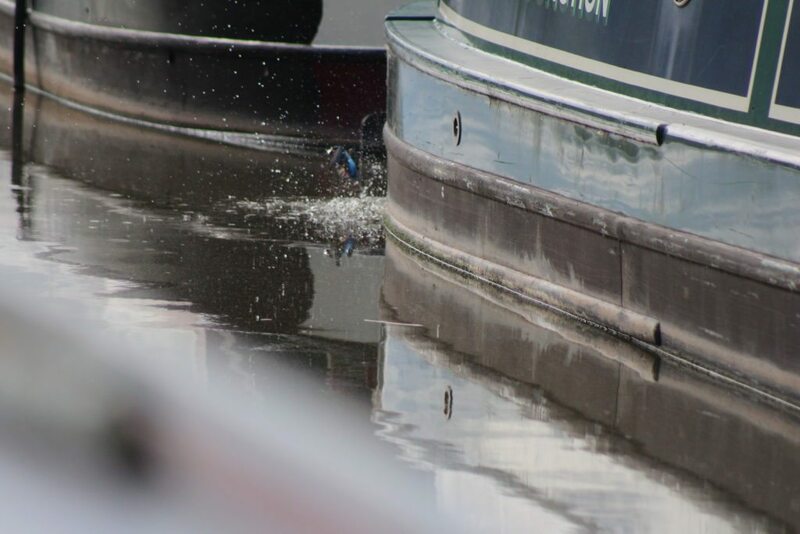 We made it all the way to Autherley Junction before we met another boat.. they were in the lock and we waited for them to come through the bridge which they did by going in a perfectly straight line and trying to turn using just their bow thrusters…. which was a pretty spectacular fail… I suspect they they could have turned faster if they’d used their boat pole but obviously that would have been to much like hard work. 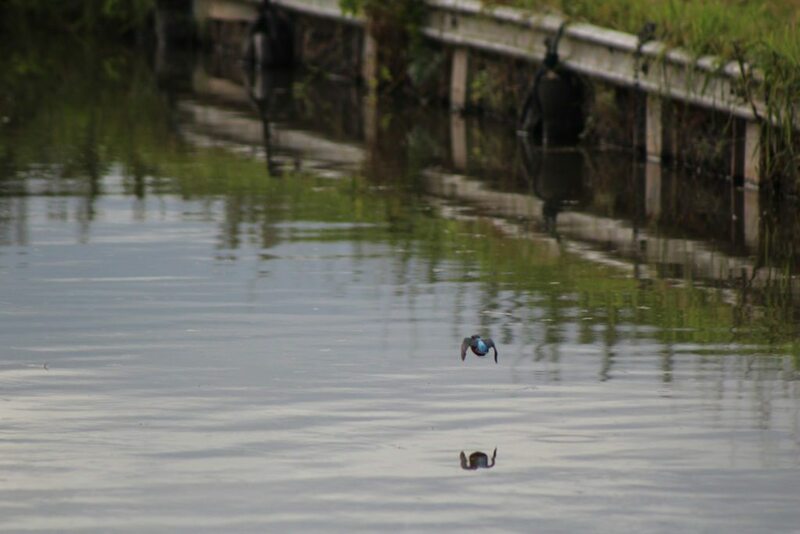 Eventually they did manage to get round and I swung Mintball round under the bridge and straight into the lock. Business was obviously good at the boatyard as their moorings were totally and utterly empty, but the moorings at Wolverhampton Boat Club were still quite full – so I’m not sure when people from there actually go out on their boats. We had another “encounter” near Three Mile Post – a hire boat was coming towards us and started to pull over to the side to go past us and as they started to do that a boat pulled out from the visitor moorings. The hire boat panicked a little and went aground and the boat that had pulled out, finally realising we were there accelerated across the canal and nearly went into the back of the hire boat. We continued on through Brewood where the moorings were moderately busy and then we ground to a halt at Wheaton Aston Lock No 2 . 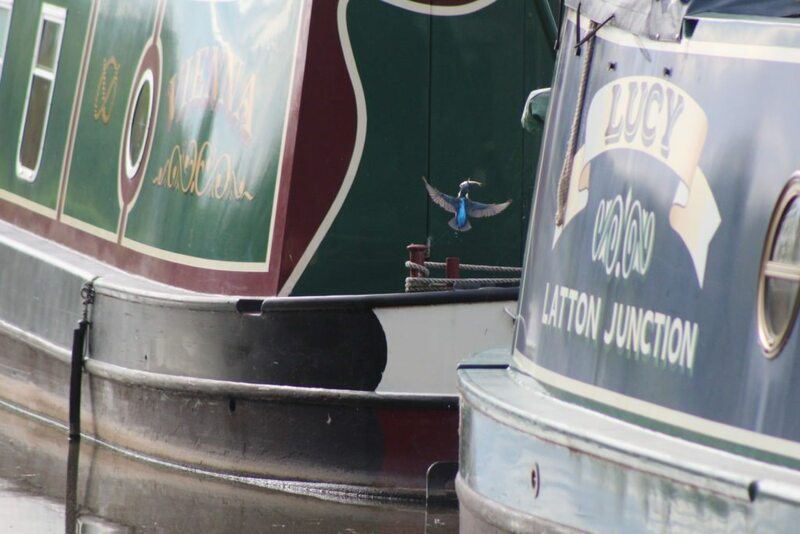 We’d expected a small queue, we’d expected people who didn’t know how to work a lock.. we hadn’t expected a boat in the queue to tie up on the lock landing and take a break, and for the boat behind them to just sit there….. which is what happened. Once people had been prodded and pointed comments made (by other boaters) the queue moved moderately quickly. We had though about stopping for lunch or a drink at The Hartley Arms PH but there were no moorings to be had anywhere around so we chugged on. There was a fishing match round Rye Hill Cutting Bridge No 23 – 35 sullen and dour fishermen sitting in a line, most of them left it to the last minute to move their rods and then muttered about it, several of them swung their rods back before the boat was completely past them and I was waiting for one of them to lose the end of their rod. Gnosall Visitor Moorings were full, in fact ALL of Gnosall was full including the pubs and most of the boats seemed to have stopped for the day. Even The Anchor Inn (High Offley) was packed, or at least the garden was. 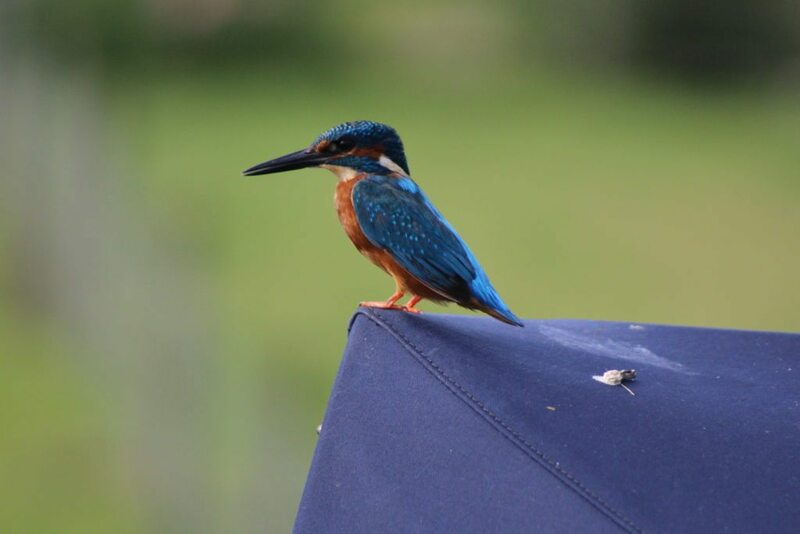 As we cruised along past the moorings between Bullock’s Bridge No 43 and Shebdon Bridge No 44 I saw a Kingfisher on the moored boats on the offside. 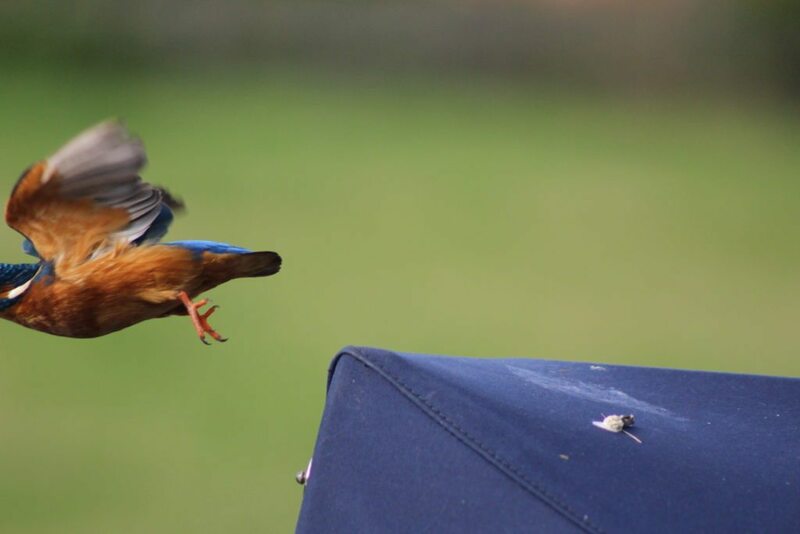 It was using boats as fishing perches and kept flying ahead of us. 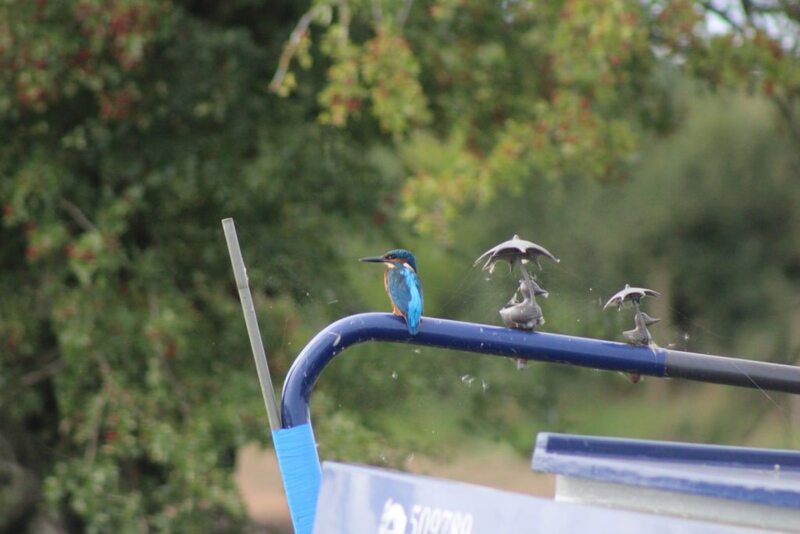 It was no surprise when we got to the Visitor Mooring at Shebdon Wharf to find the same boats moored there that had been there on the Friday when we’d come through. This entry was posted in 2017, August Bank Holiday, Trips. Bookmark the permalink.